Evoenergy branch manager Clinton McAlister has shared his frustration about Canberra’s power outages. Photos: Supplied by Evoenergy. Evoenergy has revealed more than 14,000 customers were affected by 87 avoidable energy outages last year and are calling for Canberrans to do their bit to avoid power cuts. According to Evoenergy, 2018 saw 19 more unplanned energy outages compared to 2017, with tree branches falling on powerlines the most common cause of unplanned outages. Cars hitting poles, damage to mini pillars and other third-party damage to energy assets was the second most common cause of power outages last year. 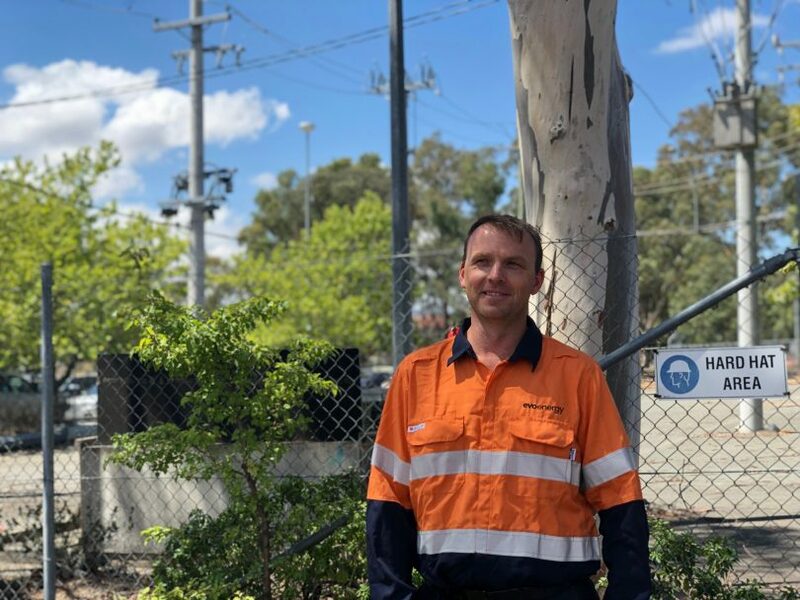 Evoenergy branch manager Clinton McAlister said Canberra does not experience as many or as lengthy energy interruptions as other states and territories but expressed his frustration that many power cuts that have affected the community in recent months could easily have been avoided. Many of 2018’s unplanned outages were out of Evoenergy’s control with Mr McAlister stressing the importance for people to take action to prevent unnecessary power cuts. “Unplanned outages in the ACT are often the result of external factors, out of our control and we’re still seeing too many outages which could have been easily avoided,” Mr McAlister said. A tree fell over a power line due to the severe thunderstorm earlier this month. Evoenergy has launched its latest Focus on Safety campaign to educate the ACT community on simple ways to avoid outages and stay safe around energy assets, reminding Canberrans to trim their trees away from powerlines. Trees needed to be kept at least 1.5 metres away from powerlines, with Evoenergy encouraging property owners to trim trees to at least 2.5 metres from powerlines to keep the costs of repeat trimming down to a minimum. Last month, a severe thunderstorm caused a tree to fall over power lines in Mitchell, interrupting transmission from local radio stations 2CC and 2CA. The power outage caused the broadcasters to play pre-recorded music for more than an hour. The storm also fell power lines in Narrabundah, Hughes, Fisher, Flynn and Kaleen and cut power in several suburbs. 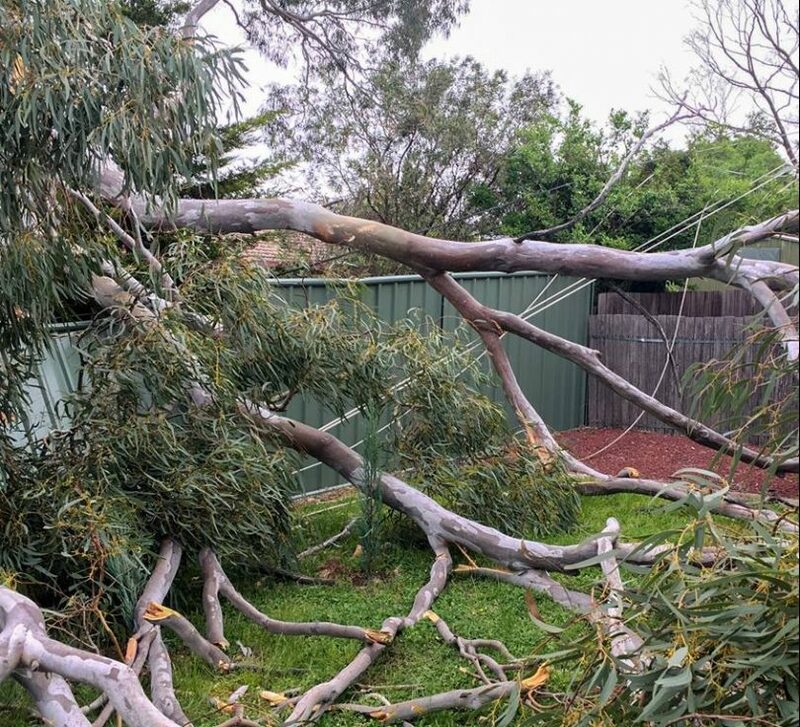 A few weeks ago, more than 11,000 homes were left without power for several hours after the thunderstorm caused power outages across the south of Canberra, with Rivett, Forrest, Griffith, Narrabundah and Queanbeyan among the suburbs affected. Mr McAlister said many of the power outages earlier this year could have been prevented if property owners trimmed their trees to the required 1.5 metres. “During January the severe storms in Canberra caused multiple power cuts. Some of these could have been avoided if untrimmed trees on private property had not fallen onto overhead powerlines,” he said. For more information on safety around utility assets and storms, visit Evoenergy. This is conditioning us to what it will be like when we have to rely on renewables more and more.